DOUBLE POST***- but that was over two weeks ago. Carnaval won’t be the only classic set for drastic changes, as the park’s Vintage Car attraction (Oude Tufferbaan) is set for a major renovation. Loopings reports approximately 1.8 million euros will be spent on the Tufferbaan renovation, replacing the vehicles, rail and operating system. It also mentions the car horns will interact with new scenes on the ride. There will also be a new double station which should help capacity, as ride often receives lengthy queues. Great to see Efteling developing their attractions further, showing what a top park does. 2019 is definitely a busy and exciting year for them indeed! Efteling seem to be doing a lot of good, though the replacement for Bob does look to be a bit of a downgrade. Crossing my fingers that it's open in April, missed it by a week last October! 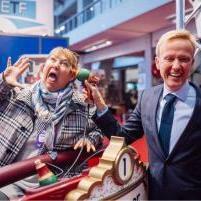 Efteling have NOT been granted permission for their expansion. The park had to delay these plans due to issues with the local authority not being convinced by the plans. This meant the 2020 project was tentatively pushed back to 2021, and ultimately Efteling decided to replace Bob with the Mack powered coasters for 2020. 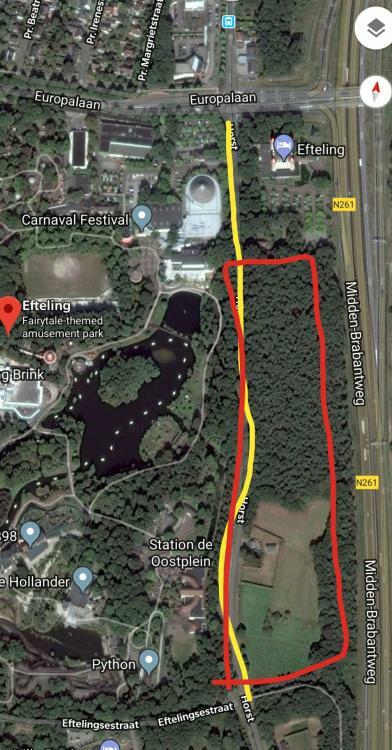 The local authority have now made a decision, and feel that - despite Efteling's claims it will not - the expansion will cause extra traffic and noise pollution, so ultimately they are against the decision. The Council of State will make a further decision about whether the plans can be implemented in some revised fashion. It'd be interesting to see how possible it would be to effectively turn that road into a tunnel, and just have the park / expansion go over the road, as opposed to re-routing it. Given the size, I imagine it's not very practical, as well as expensive and logistically very awkward, but it could be a potential way round it I guess. It’s saddening to see such a massive blow to an expansion at one of my favourite parks. On the hindsight, the park is located around a strongly nature based area with noticeable neighbouring areas and the proposed expansion would’ve not only meant the re-routing of that road but the removal of many trees and shrubbery too perhaps. It will be interesting to see if such an appeal can be made or the original plans amended and updated. Maybe they will downsize the plans or make conditions on the natural area in order for this to go ahead. I think the authorities seem to forget how much Efteling likely benefits the local area, from the economy to employment, amongst being a national treasure. Its certain to say, the park without expanding their current boundaries are pretty limited on future developments, especially considering the location. Some attractions like Panda Vision could be the On the chopping block, but the park rarely remove existing attractions unless they have to. Very happy to have had the chance to ride it today, it's such a unique (and terrifying!) coaster and by far the best "bobsleigh" style ride I've ever ridden. A shame it's being removed really, the replacement doesn't look very inspiring either. Yeah, I remember everybody slagging off the Wicker Man before that opened to. But wouldn't that extra visitation from the new attractions be a welcome addition for the local economy, food outlets, Band B's for example? Not gonna lie but will definitely miss Bob. Sure it’s not my favourite Efteling coaster, but definitely still a fun ride. We will have to wait wait and see with Max and Moritz, but as long as it retains the Efteling goodness (especially from recent years) then I’m perfectly sure it will still be a fun and worthwhile addition. Efteling probably thought long and hard about Bob’s future and given they rarely remove attractions, it must’ve been untenable to keep the ride operating in a healthy and reliable position. I still wonder how this expansion can still happen. Fingers crossed they have a way. Then that brings up the simple question of which came first the locals or the themepark attraction.